Is Neosporin Safe for Dogs? 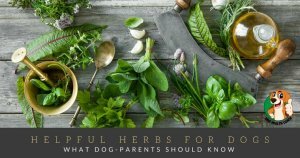 Uses / Dosage / Side Effects Vet approved! 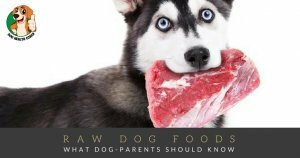 Skin problems are one of the most common and certainly the most frustrating issues pet owners face. There are entire textbooks dedicated to figuring out the solution to these conditions, but there is a short list of mild, self-limiting skin problems that can usually be managed at home. Can Neosporin be used on a Dog’s Wounds? The most common way we treat our own minor cuts and scrapes is with the group of antibiotic ointments and creams colloquially referred to as Neosporin. Naturally, pet owners wonder if they can use Neosporin on dogs to treat or prevent infection and provide protection. Generally speaking, applying Neosporin on dog wounds is not harmful, but if it is a major wound, it will not adequately protect it from infection. it will likely provide the moisture and antibacterial properties necessary to promote wound healing. Never put Neosporin on or near your dog’s eye or in the ears! If there is anything near his eye, it needs to be checked out by a veterinarian, both to ensure the eyeball itself has not been scratched as well as to prescribe ointment that is safe near the eye. 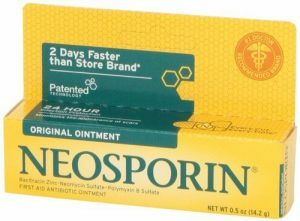 Can Neosporin be used on Surgical Incisions? Another common reason people reach for Neosporin for dogs is after they have had a surgery. Applying Neosporin to a fresh surgical site such as a neuter incision is not likely to make a difference in healing. Surgical incisions are closed in a way that brings the skin edges together to seal out bacteria. If the incision is truly infected, there is likely a problem going on under the skin that Neosporin isn’t strong enough to handle. Can I Use Neosporin on Hot spots? Basically anything that causes an itch they just can’t scratch. The good news is they usually look worse than they are, and can be treated with topical medications as long as the area can be dried out and the itch can be controlled. Try carefully clipping away the hair, washing gently with soap and water, and using an antibiotic ointment with pain relief or hydrocortisone to soothe the area such as Neosporin Plus Pain and Neosporin Anti-Itch Cream, which can be purchased over the counter. If more spots appear or if the area is not healed within 2 weeks, it is time to have your veterinarian take a look. Your vet may have an antibiotic ointment for dogs that has ingredients specifically chosen to heal these pesky sores. In rare cases, oral antibiotics will also be required. Neosporin and dogs are not always a great mix. The first reaction for most dogs after applying antibiotic ointment is to lick it off. If your dog ingested Neosporin, it is unlikely he will experience any harmful side effects, however it won’t be effective for wound management if it is immediately removed like this. Dogs who are licking wounds should be discouraged using an elizabethan collar (cone of shame), sock, or t-shirt depending upon the location. Avoid products containing zinc oxide (like diaper rash cream), as it can be toxic to dogs in large quantities. Did we miss anything that might be useful? Please share in the comments. My 7 mouth old puppy eat a tub of Neosporin wt. 6.5 oz. Should I take her to the vet. She didn’t eat the tub it self just what was in it. If your dog consumed a small amount of neosporin, it should not be a cause for worry. The product is formulated for skin problems, and most preparations contain very low quantities of the active ingredient and the rest is mostly petroleum jelly. Also, most neosporin preparations don’t absorb easily in the gastrointestinal tract. Ingestion of larger amounts may lead to digestive problems due to the irritation of the digestive tract, and the petroleum jelly may also act as a laxative and cause diarrhea. Most digestive issues,. however, are temporary. But if nausea, vomiting, and/or diarrhea lasts for more than 24 hours, it is recommended that you have your pet checked by your veterinarian or call your Pet Poison Helpline.